I’m heading to a year-end business retreat on the New South Wales northern coast, with nine other like-minded business owners at the end of this week, after running my final face-to-face courses for the year. It’s an opportunity to press ‘pause’ on my client work, family life, and the day-to-day humdrum of running a busy training and coaching digital marketing consultancy. Together, this is a chance for 10 like-minded business owners to review the ups and downs of 2016, consolidate what’s worked, note what hasn’t (and try not to repeat it! ), create new financial goals and a plan for 2017. 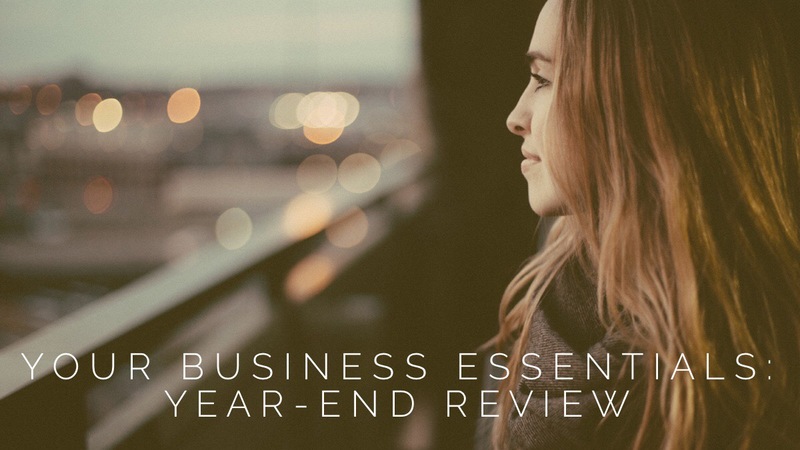 Here’s how to do a year-end review of your business. You may not have the time, money or opportunity to go on a retreat at some far-flung exotic locale where cocktails are cheap and plentiful, but that doesn’t mean you can’t create your own year-end business retreat. Removing yourself from your normal workday is key. Says Monica Davidson, head doyenne at Creative Plus Business, “Take yourself away from your day-to-day, your phone, friends and family, for at least one whole day. Take action: Sign up for my free Non Planner’s Business Plan, which walks you through each part of writing your own business plan. Make a date (before the year ends!) for your one-day business retreat. Being in business means exchanging value for cash. Without profit, you aren’t in business. So I sat down with virtual CFO and author of Unscramble Your Numbers, accountant Amanda Fisher, to ask what financial numbers business owners should be reviewing. 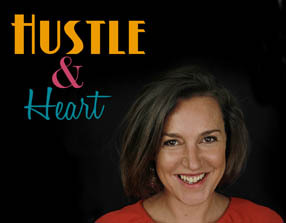 “My number one tip for doing your year-end review is to check every expense you’re paying and check that it’s required for to earn income (such as cost of product or wages), is legally required (such as superannuation, workers comp insurance), or has a quantifiable result (such as marketing spend which is bringing in new customers),” says Amanda. After all, your profit is the result of your incomings, or revenue minus your expenses, so if you can reduce your expenses, you’ll increase your profit. Take action: Make a plan to review your accounts throughout the year and add this to your 2017 calendar or diary. You want to review your profit and loss statement at least once a quarter throughout the year. Decide what you’d like to earn for the following year. Not what you think is ‘realistic’. Not what you think you ‘deserve’. Name what you’d like to earn. Don’t overthink it. Now add tax on top. You’ve got one lump sum now, which you can tackle in a few different ways. If you work in professional services, you can break it down per month (accounting for your time off, too, so you’ll want to earn more to account for the time when you’re not earning anything). Or, if you prefer to concentrate on selling packages or online courses or programs, you can break the year into launches and estimate how many you’ll need to sell per launch to make your total (which includes the tax you’ll need to pay). When I ask my business coaching clients to do financial projections, some tell me that it feels like a work of fiction. Speculating on the future can feel like that. But this doesn’t mean it’s not important or necessary. Take action: Name your figure! If it feels intangible, you can break it down by week or month and then simply multiply and add tax on top. Write this figure down and display your monthly income goal at your desk. Some things you’ve done this year have been a rousing success. And undoubtedly, there are decisions you wish you’d taken differently. Take your time to record what worked, and why. Include dates, periods of marketing, promotional partners, and any other details. Don’t lose the lesson in your failures. Document what you did and any concrete information you have on why it didn’t work. If you’ve got any insights into this or ideas of what you’d do differently next time, write these down too. Remember, it could simply be a problem with your marketing, or rather, not doing enough marketing. Take action: What was the biggest success of the year? Why did it work? What was the biggest failure of the year? Why did it happen? Some of my most exciting years in business, where I’ve done something big, bold or brave, raised by business profile, or significantly expanded my networks, I’ve made less money than other years. This is normal. Promotions and pitches take your time and attention, and don’t necessarily increase new business immediately. But they’re invaluable to your business’s long-term growth. Says Rebekah Lambert, head of the Freelance Jungle and director of Unashamedly Creative, “Look for the intangible stuff – have you built stronger relationships? Have your networks expanded? Were you kinder to yourself and others? Were the jobs and clients you had more interesting, more challenging and lead to you stretching your mind? “Making more money is great. But without working on community, fostering self-care and resilience, and giving yourself something to be curious about, that other stuff can really lose its sheen,” say Rebekah. Take action: Write it down! Note what you enjoyed and why. Conversely, note what you didn’t enjoy and why. Try approaching this like free-flowing journal writing. Reviewing your year has multiple benefits for yourself and your business. Without a clear view and understanding of what’s worked and what hasn’t, we are relying on memory, with all its bias and imperfections. The discipline of reviewing and recording your year through a business lens encourages objectivity so that we can apply the wisdom of hindsight to creating a wonderous year. Another byproduct of doing your year-end business review is affording the time to acknowledge your work and feel grateful for having the privilege to craft your own path in business. Thanks Brook I really enjoyed reading this and endeavour to take some time out for end-year review. I’d love to go on an end of year retreat! !